Robbi and I are now almost at the end of our journeys for this year and we are greatly looking forward to enjoying some quiet time to relax and also to catch up with friends and family before our season begins again early next year. 2010 has been another water-shed year for us and we are very excited to see our Aroma Tours continuing to flourish and to have shared so many delightful and memorable moments with our guests during our aromatic adventures. We have many things to be grateful for and we wish all of you a wonderful festive season and hope that the year ahead will be full of prosperity and many joyful moments. With all of our busyness this year we are still to find time to fully delve into the mother load of images kindly contributed by our Aroma Travellers this year and in our next newsletter we look forward to highlighting some of their offerings. Whenever possible between our busy schedule of tours, Robbi and I like to take a little time off to relax and catch up with our dear friends Jack and Sophie at their lavender farm, high in the Haute Vaucluse: arguably the largest true French lavender farm in the world. This year the lavender harvest was in full swing, during our visit so everything was a bustle, with harvesters plying their way gracefully along the long rows, creating swathes of aromatic purple blooms that could be seen in various stages of drying ( over 2 or 3 days ), in preparation for their journey to the distillery. 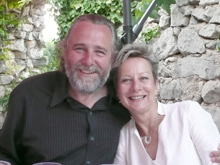 All is now well under way for next year's tour season and Robbi and I are thrilled to see the wonderful early response to our 2011 offerings with both our Flavours of Dordogne and	Aromas of Provence tours already fully booked and several others soon to join them. During our Bali Women's Retreat I always create an aromatic anointing oil to bless each woman as she arrives into the space of the retreat and often it is made up of jasmine, sandalwood, lime, lemongrass, cinnamon, ylang ylang and rose in a jojoba base. This lovely perfumed oil is applied to the forehead and followed by a touch at the heart with a red hibiscus flower that has been dipped in Balinese holy water. The red hibiscus is considered a holy flower in Bali. One year, Made Murni a beautiful young woman from our hotel happened to be there when I gave the blessing to the women and so I blessed her too with the sweetly perfumed oil. 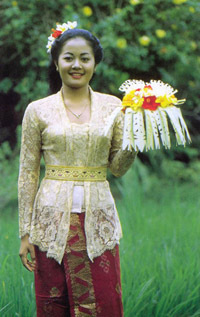 The Balinese make thousands of flower offerings to the Gods every day and they believe that the sweeter the flowers, the more quickly their prayers reach heaven. Made was moved to tears with the blessing as her heart fully opened to that moment. Later that evening, she told me that when I touched her heart with the hibiscus, she felt a great warmth move through her heart and beyond. The blessing set the intention to open to the love and beauty that resonates in all of us. Made understood that clearly. And in that silent moment, love was there. 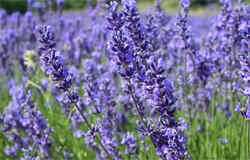 Each year our Aroma Tours adventures begin in Tuscany with our Aromas of Tuscany tour where we are welcomed by a riot of spring colour: Mauve wisteria, blood red poppies, egg shell blue irises, golden fields of canola, the vibrant blue of flowering rosemary and sage�. also the late spring mantle of vibrant green meadows - absolutely wonderful! 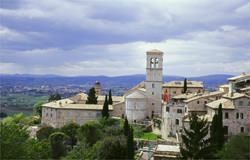 Each year during our Essential Provence Tour one of the most interesting and uplifting experiences is our visit to a secluded monastery tucked away in the Provencale countryside where we silently witness Benedictine monks performing their devotions in the form of the beauty and harmony of Benedictine chants. As we were quietly leaving the monastery, we were fortunate enough to witness one of the monks beginning the harvest of a nearby lavandin field. In keeping with their monastic lifestyle of spirituality and living close to the earth, he was harvesting in the ancient way with a sickle. At that precise moment, with the sound of the beautiful chanting still echoing in our hearts, a shaft of light came down to bless his devoted toil. 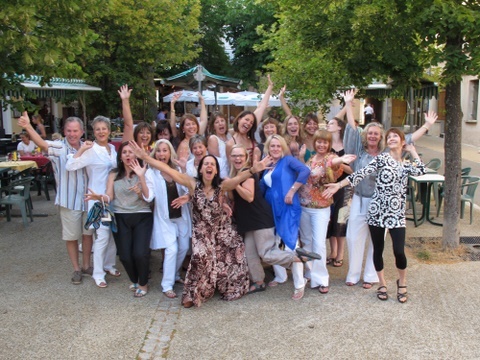 Our Provence Skincare and Wellbeing Retreat was an absolute triumph ( even if I say so myself ) and what a delight it was to see the camaraderie, high spirits and blossoming of knowledge that occurred during that week. Our guests came from Canada, Brazil, Norway, Spain, USA, Belgium and Australia. 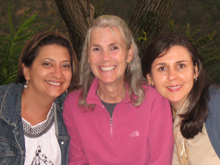 Many were already established aromatherapy practitioners and the retreat gave them a wonderful extension and deepening of their knowledge. For some, attending the Provence retreat was the realization of a dream to actively begin creating a successful skincare business. Talk about job satisfaction for us! Our Provence Aromatherapy Retreat next year will once again be focusing on skin care and wellbeing and we are very excited and delighted to announce that our dear friend and one of Australia's foremost aromatherapy experts, Ron Guba, will be joining us in our tiny village amongst the lavender fields and will share his extensive background and expertise in the development of natural, organic and effective products for both therapeutic and cosmetic use. Since announcing our new Flavours of Dordogne Tour earier this year which explores the stunning beauty, gastronomic delights and incredible history of the Bordeaux and Dordogne regions in south west France, the response we have received has been absolutely marvellous. As a result, the tour is already fully booked for next May and we are doubly delighted to see that it has been our returning Aroma Travellers and their friends who have in the majority elected to join us for our sojourn in this fascinating region. I guess drinking fine wines, enjoying delicious gastronomic meals and exploring stunning landscapes of sweeping river valleys, perched chateau, magnificent gardens and some of the most beautiful villages in France does sound rather nice. "When all else fails darling, drink champagne!"